Family MOVES is an area at the BERN MOVES FLASH, especially designed for you and your kids - FOR FREE ! Everyone is welcome: Movers, curious people, as well as visitors of the Marzili. 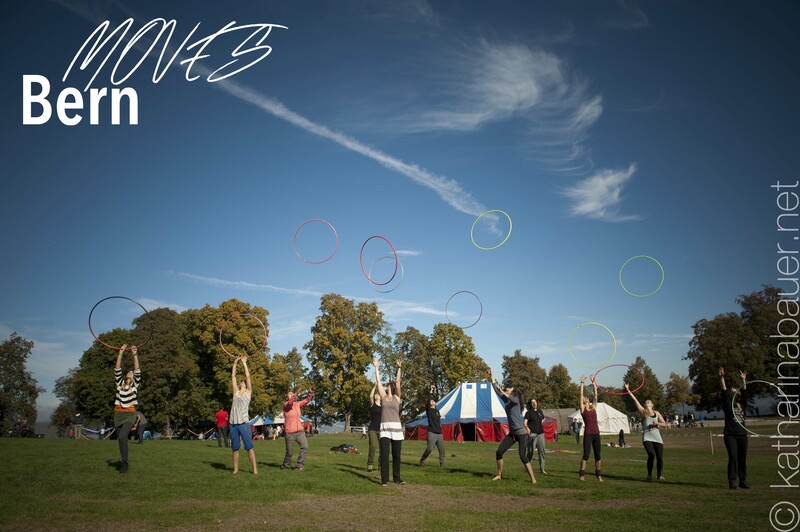 We offer a varied playground where you can explore and discover balance, juggling, acrobatics and a lot more. The activities will be fun for everyone to embrace and will be challenging on all kinds of levels. Im Family MOVES Zelt gibt es für dich und deine Familie vieles zu entdecken. Und das alles GRATIS! Jeder ist willkommen, es werden Workshops für Kinder angeboten, es gibt Jonglierbälle, Balancier-Geräte, ein Trapez und noch vieles mehr. Egal ob du am Flash teilnimmst oder vorbei spazierst – schau rein! Ando has an undying stoke for slacklining and Movement in general. He has walked some incredible highlines and achieved a lot in the past year, yet he'll always be happy to giggle and wiggle on a short rodeoline in the park.